by cicampbell2013 in Friendship, Life, Reading, Writing Tags: Author, Author discussion, Book, care, child abuse, Christine Campbell, Fiction, Flying Free, healing, help, love, Novel, recovery for a victim of child abuse, Relationships, romance, Victims of child abuse, What's That Book About? Flying Free is my third novel. When Tom asks Jayne to marry him, he unwittingly opens her personal Pandora’s Box, and now she can’t seem to close the lid on all that rushes out at her, whirling her into a cycle of self-sabotage. Unable to commit to a relationship, she pushes Tom away…along with everything else that’s important in her life. There are things she had chosen to forget. There are others she can’t remember even when she tries. What she does remember is fear. Feeling emotionally trapped by her past, her biggest challenge is to break through its bars and fly free. Then she finds someone to help her make sense of what’s happening, but, instead of slamming the lid shut on all that has been let loose, he helps her open it wider and makes her face her fears in order to overcome them. Remembering the past helps her make sense of the present and allows her to begin the process of healing and she finds that, as in the fable, there is one last thing left in the Box. That thing is hope. But, when she is ready to commit to a relationship, will Tom still be waiting? There is also the short video I made where I read the first chapter of Flying Free. You’ll find that over there on the right, in the sidebar. But what is Flying Free about? I’ve made you a short video by way of explanation. I’d love to get your thoughts on both the subject matter of Flying Free and on whether it is helpful to have the video. 3/ I must name four writers who will continue this Blog Hop and notify them. I’m in the later stages of editing my NaNoWriMo novel. Its working title has changed several times and at the moment it is ‘Enough’ but I can’t make up my mind if that’s a great title or a terrible title. Any comment on that would be most welcome. The novel is about Mhairi, a mother and grandmother who knows she did some terrible things when she was young, but can’t remember if she committed the heinous crime she was accused of. The trauma at the time and subsequent medication blacked out the memory, allowing her to built a good life with a loving husband, family and friends. Her past feels like it belonged to someone else. But now her daughter’s project is threatening to blow her life apart, exposing her for who she was. Rhona has decided to trace the family tree, to delve into the past and search out its secrets. Like a bloodhound, she refuses to be distracted from the hunt. Mhairi has to keep one step ahead or go on the run. The last time I was asked this question I kinda opted out by saying that every writer’s work is unique, and I stand by that, but perhaps, in fairness, I should give you more than that. I think my work differs from others in the genre in that I don’t think it quite fits into any genre. 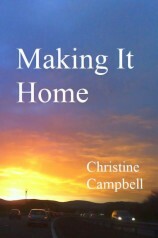 Yes, it is Contemporary Fiction, written about ordinary people living here and now. Yes, it is General Fiction, which could appeal to men and women, old and young, and it is about coping with extraordinary ordinary problems. But it is so much more than that. My novels have an element of suspense in them, often a bit of crime and detection, sometimes romance, sometimes Family Saga, always exploration of relationships. They are character driven but with a strong plot line too. So, if any of you have read any of them…could you please tell me to which genre they belong? I write about things I care about and things I am fascinated by. I have always been fascinated by how someone can just walk away from their life, their family, their friends and disappear, leaving no trace, only heartbreak and worry. I explore this concept in my first novel, Family Matters. Being happily married and surrounded by family, I care deeply about the loneliness others suffer: the causes of it and the solutions. I’m also fascinated by the modern phenomenon of shopping addiction, and its causes and cures. So, in my second novel, Making It Home, these are the areas I investigate. 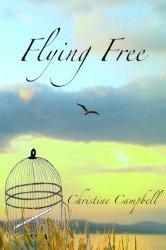 My third, newly-released novel, Flying Free, takes a look at another subject I feel passioately about: recovery for victims of childhood abuse. I don’t know that there is ever a true recovery, but it is important to try to help there be at least a measure of healing. In Flying Free, the main protagonist’s life has been blighted this way and the story traces her route to recovery, in as much as that is possible. It is an ultimately uplifting, optimistic book. I’ve always been a bit of a ‘pantser’. Writing as I feel and as it comes. I try to have a notion of where I’m going, but it isn’t usually clearly mapped from beginning to end. The things I have a clear grasp of are who the characters are, what they want, what they need and what stops them getting it. And I know how the story ends. Apart from that, I like to go where the story takes me. Stuart Turnbull, a poet and author of stories both short and long, including the wonderful Tweeties, stories in 140 characters or less. Great fun. You can check out Stuart’s writing on his blogsites. I guarantee you’ll enjoy yourself. All blogs I’m certain you will enjoy for various reasons, so do visit them and be entertained and amazed. Okay! So I know I already had a victory dance for Flying Free when the Kindle edition became available, but this is it! This is the proper launch. Flying Free is also now available as a paperback on Amazon.co.uk and FeedARead.com, Waterstone’s.com and Barnes & Noble…so look out for it there if that’s where you usually purchase books. And it can be ordered through bookstores everywhere. Ask me if I’m happy? Well, it’s not all ‘happy-clappy’ — but, nor is it misery-lit. Far from it. It’s a novel filled with hope and positive energy. Flying Free is almost a contemporary novel, set in 1997, about someone who could be your neighbour, your friend, or even you. Jayne has been hiding from her past. If fact, she thought she’d escaped from it when she and her mother ran away to Edinburgh when Jayne was a girl. She thought the past would stay in the past, but, twenty years later, when her friend, Tom, asks her to marry him, he unwittingly opens her personal Pandora’s Box, and now she can’t seem to close the lid on all that rushes out at her, whirling her into a cycle of self-sabotage. There are things Jayne had chosen to forget. There are others she can’t remember even when she tries. What she does remember is fear. 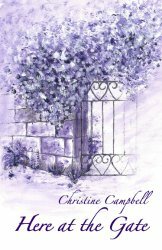 Feeling emotionally trapped by her past, she finds someone she can talk to, but, since trust is one of her major issues can she let this stranger help her? Instead of slamming the lid shut on all that has been let loose, he helps her open it wider and makes her face her fears to allow her to begin the process of healing. When she feels ready to commit, will Tom still be waiting? She finds that, as in the fable, there is one last thing left in the Box. This novel traces a woman’s struggle to become the woman she wants to be in order to marry the man she loves. ~~~Hands up if you’ve never struggled with things from your past. If you click on the link to your right, you can hear me reading the first chapter of Flying Free. I hope you enjoy both the reading and the novel. Can You Hear The Music? Look! I’m Dancing! You can buy it on Amazon Kindle everywhere Amazon has a presence. The paperback will be launched in a few weeks, but I couldn’t bear to hold back the ebook any longer. And its music makes me want to dance. At first it was gliding… slowly, luxuriously… floating on the warm current of air that was the melody. It was all around her, lifting her gently, tumbling her softly in its caress. When she closed her eyes, she could look down from her lazy cloud and see Tom as she had seen him only a few short hours ago, sitting on a park bench, his long legs stretched out, his face turned to the sun, totally relaxed, contentedly waiting. The gentle warmth of the sun, it was soothing, so soothing. She was there beside him, relaxed, waiting. Like the music. She held her breath as it seemed to hover, watching, watching Tom open his eyes, the radiance of his welcoming smile. He was off the bench and the music started to soar, taking her with it, making her laugh with sheer delight, catching her breath with its joyousness, its love of life. It made her want to dance, to spin round the room the way Tom had spun her as a teenager when he was teaching her and Rosie how to dance, the way he had spun her round in the park at lunchtime. Like this glorious music, Tom had spun her off-balance. She was intoxicated, drunk with its wine. This was Tom’s music. It echoed his energy, his impulsive, spontaneous passion for life. She would never hear it again without thinking of him, without remembering their crazy, heady “flight” through Princes Street Gardens and all the way to London. Elgar and Britten might have written their pieces for Jayne, for the tragedy of her past, but Bellini’s Oboe Concerto, this joyous romp, was Tom’s and she loved it. “Let go,” it seemed to echo. “Let go and love.” Yes, she could let go. She could let the past stay locked away. She could fly free with this music. She could fly free with Tom. There are more musical moments in the book, but I’ll let you find them for yourself. I may post links to them at a later date, but, in the meantime, I do hope these excerpts and links have given you a good taster of Flying Free. Enough of a taster, I hope, that you might fancy reading the book. Available on Amazon Kindle all over the world. We’re still Flying Free, friends. I hope you enjoyed the music and the excerpt from my soon-to-be-released novel as featured on my last post. Larghetto from Serenade in E minor. It is also the second piece played in the orchestral concert attended by Tom and Jayne in London. Britten had taken her back to her childhood and now Elgar held her there. She was still on the beach, feeling the old sadness, as the orchestra flowed into the Larghetto from his Serenade in E minor. Jayne felt the sad, haunting music reach deep into her, tearing at her, making her feel vulnerable, ripping memory after memory from her; just as the receding tide dragged everything into the depths of the churning sea, ripping creatures from rock and crevasse. The music echoed the awful howling she could hear in her soul. She wanted to go, to run from it, but she knew the sound would follow her. It had been there all along, but she had turned the volume down, tuned it out to cope with ordinary living. Elgar had tuned it in again. She had no more power to hold back her tears or the encroaching tide of her memories, as she had to hold back the relentless sea. The music paused, holding its breath, waiting for the answer of her heart. The hush in the auditorium was expectant, hopeful, as the music settled and calmed, rolling in on gentle waves, its energy spent, till it died away, leaving her stranded on the beach, agonising alone. Leaving her clutching her heart in her fist, unable to breath, afraid of the next onslaught when the past would smash over her in furious waves again. She was washed up, choking, drowning, fighting to crawl to safety but unable to see what safety looked like. When Tom tried to put his arm round her, she drew away, her shoulders hunching, her arms wrapped across her body and her knees drawn up: a hermit crab withdrawing into its shell. He smiled ruefully, his frown one of puzzlement rather than offence, and went to the bar to get her a drink. When he returned, she had done her best to rally, but her face felt pale and drawn, scraped bare by the outgoing tide. She couldn’t look at him, mumbling her thanks as she took the proffered drink and sipped it quietly. The lights dimmed and the orchestra prepared to play. For Jayne, this is a sad piece and, to her, it comes to represent her past. Do you find it sad? Or does it evoke different feelings in you? Do you have a song or a piece of music that does that for you? Is it sad, haunting, happy or mellow? Part three of our musical journey coming soon. My third novel, Flying Free, is almost ready to be launched, so I thought I’d give you a bit of a taster. Music plays an important part at several points during the story and I wondered if you’d like to hear some of the pieces I mention, along with reading a small excerpt from the novel. Today, I hope you enjoy The Four Sea Interludes from Britten’s Opera, Peter Grimes. Jayne had never been to a live orchestral concert before and was unprepared for the power of such a performance. It took her by storm. The first piece, Four Sea Interludes from Britten’s Opera, Peter Grimes, brought all the varying sounds of the open sea surging into the auditorium, shivering down her spine. All her senses sparked into life. Eyes closed, she could feel the chill breeze of dawn over the desolate seascape, hear gulls whirling and crying, the tide slowly swelling, shingle churning on the beach. It was so real to her, prickling her skin with goosebumps, transporting her once more to the beaches of her youth and the mornings when she woke early and crept out of the house before her father was awake. She could smell the salty air, taste it on her lips. Her face lifted to the wind as it brought the chill of the water onto the beach. Her bottom cold on shingle and sand, watching dawn creep across the sky. In a world full of sound, smell and colour, there was emptiness. She hadn’t been back since she was ten years old, yet the evocative music forced long buried memories to surface and she remembered well the chill of a seaside dawn. She shivered again. In the last of Britten’s four interludes a storm raged out at sea. Excitement mounted in Jayne as it surged around her. The same fearful excitement she used to feel as a child, glorying in the power of the elements. She didn’t try to shelter at those times, but let herself be buffeted and drenched, having no fear of the storm’s fury. After such a tempest she always felt purged and renewed. Exhilaration lifted her out of her seat as the orchestra brought the storm crashing to its end. I wonder, do you ‘see’ the same things as Jayne when you listen to this music? What does it conjure up for you? In the run-up to the release of my third novel, Flying Free, I am offering you the chance to sample my writing without it costing you a penny. You can download it for free from Amazon Kindle wherever you are. If you prefer reading an actual book, Making It Home, is also available in paperback, but I’m afraid that’ll cost you the price of a cup of coffee and a cream cake. Kate had a home, but her heart wasn’t in it … or in her marriage. Phillis had a home, and her heart was in it … but she wanted something more. Naomi had no home, and her heart was in cold storage … she didn’t know what she wanted. 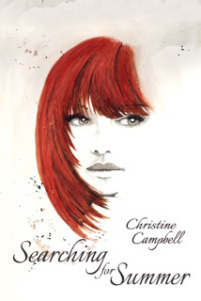 back tears and, by the final page, I no longer fought them and let them flow.Move over Nicholas Sparks, you have new competition in Christine Campbell. This woman writes from a heart of gold to the hearts and souls of us all. If only I could give it ten stars .. I Keep Thinking About This Book!